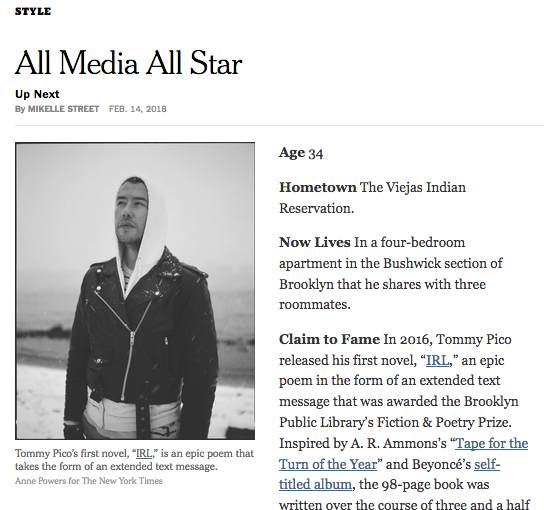 The New York Times Style section featured an author profile of Tommy Pico and mentions his Birds, LLC book IRL. Check out the full article. IRL is now available in audiobook format from your favorite provider. Check out this one at Audible.